Wild’s memories of his encounters with jazz have a stream-of-consciousness quality. 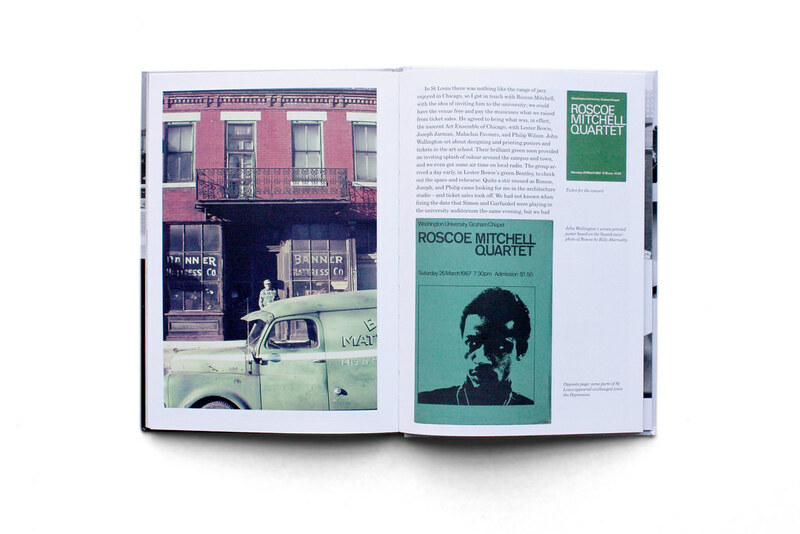 Reminiscences about family, friends and workmates loop and blur back into descriptions and images of nights spent listening at close range to some of the great individuals of jazz. These include John Coltrane (below), Miles Davis, Tony Williams, Horace Silver, Pharoah Sanders and the musicians who would become the Art Ensemble of Chicago. 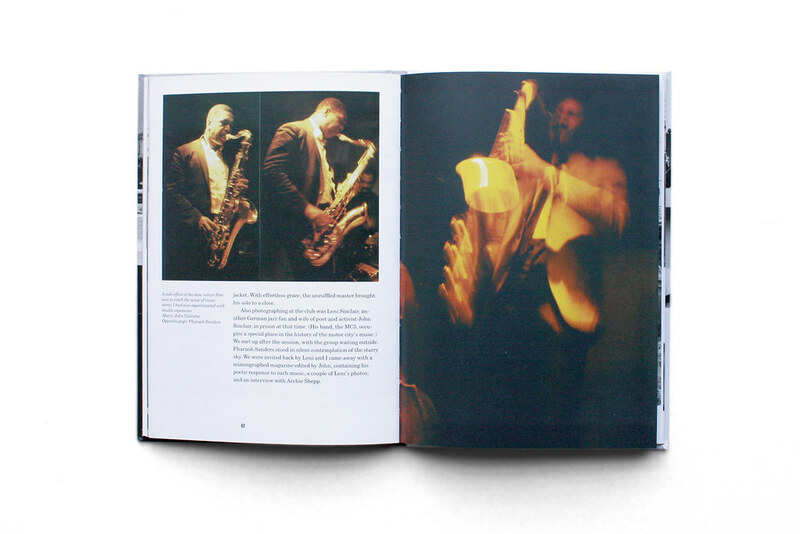 The photographs capture the musicians at different moments: in full-flight improvisation; listening hard; in rehearsal; or kicking back after a gig. The best pictures show Wild’s love of the music in a manner that’s unforced and flowing. In addition to the text and mainly black and white photos are a number of photomontages (above and below). These may be less ingenious and studied than those in Wild’s brilliant book about European Modernism, Fragments of Utopia (also published by Hyphen, though now out of print). 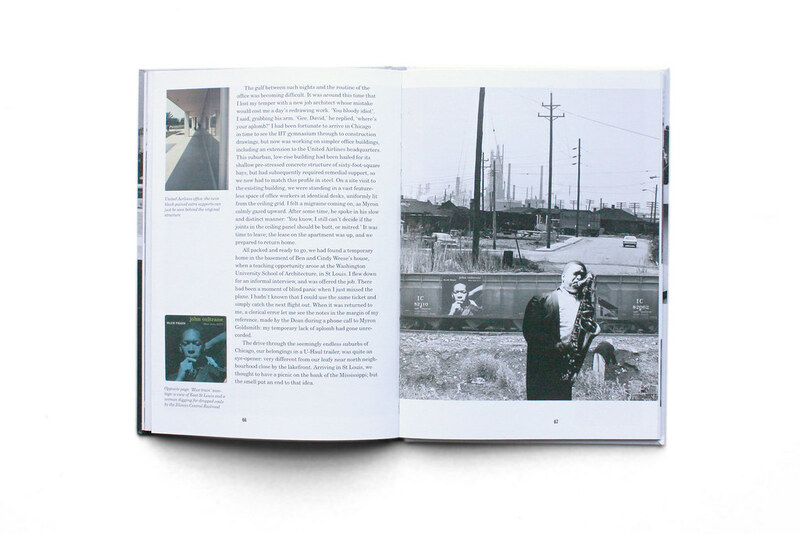 However they still convey Wild’s vivid experiences in a way that combines the urgent immediacy of jazz performance with a cool but sympathetic depiction of urban realities. Wild’s day job during this time was as an architect, and one series of photos shows life (and attempts to improve it) in St Louis’ notorious Pruitt-Igoe housing complex, whose 1972 demolition is cited by Charles Jencks and other architectural critics as the start of the postmodern era. 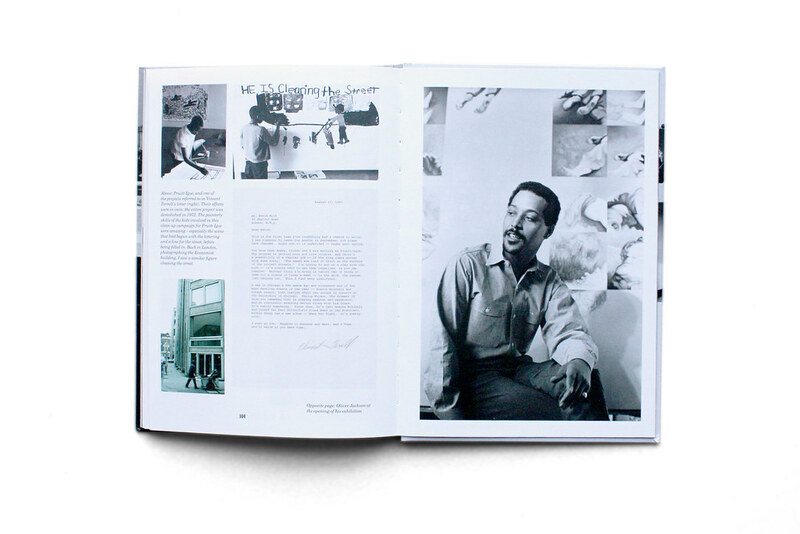 His text and captions express the excitement and conflicting messages of a crucial period in US culture, but the effect is often that of an extended anecdote, with digressions rather than straightforward description or reportage, and in this Jazzpaths resembles some of the loved by jazz the author (and his publisher, Hyphen’s Robin Kinross: see Rick Poynor's interview in Eye 80). Wild drops in splashes of violent colour (gunshots in the night, a knife under a pillow) and documentary evidence (news cuttings, billboard graphics) but these are left unresolved, like the hallucinatory clues in Antonioni’s film Blow-Up. Sometimes the photos and collages interrupt in the same way: Wild isn’t trying to explain or proselytise, but he leaves some telling impressions in our path. 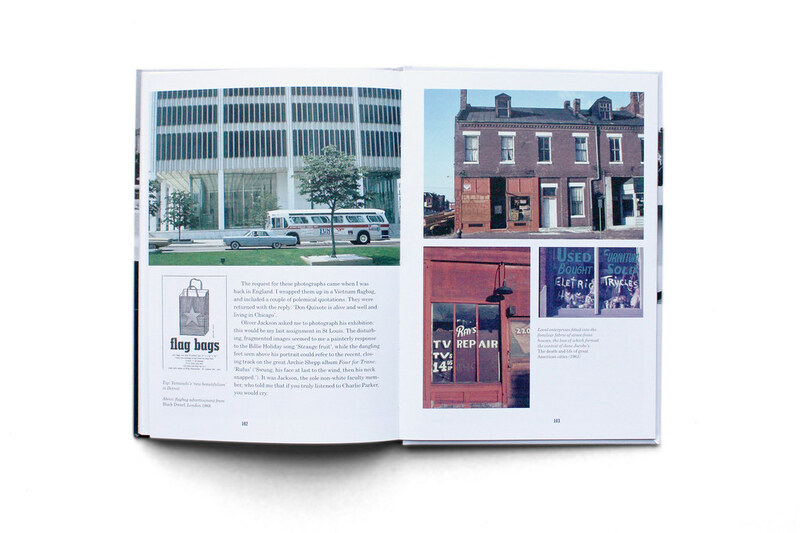 And in these aspects, Jazzpaths feels more like an artefact from the Modernist mid-1960s than a contemporary book, and it ends abruptly when Wild returns to a ‘dinky’ Britain intoxicated by Sgt Pepper’s, and his friend Peter Cook calls him to tell him that Coltrane has died. 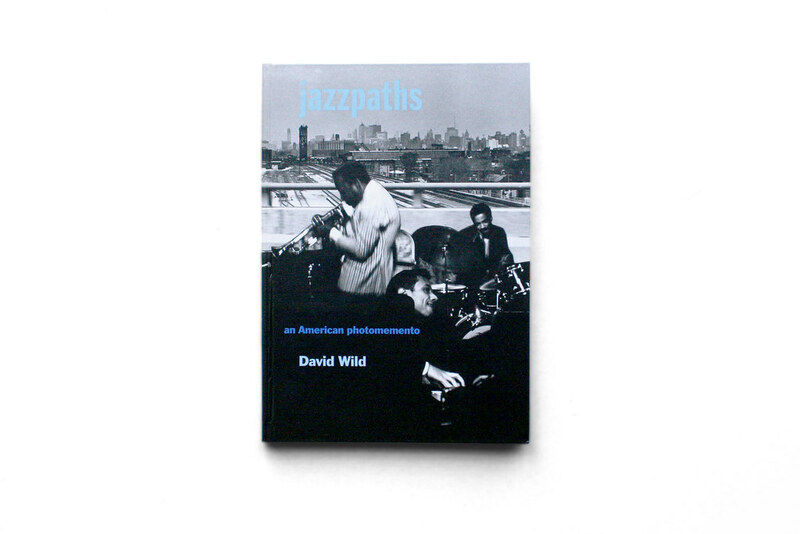 Jazzpaths’ awkward yet sustained poetic mood gives the work a special place in the history of jazz photography. 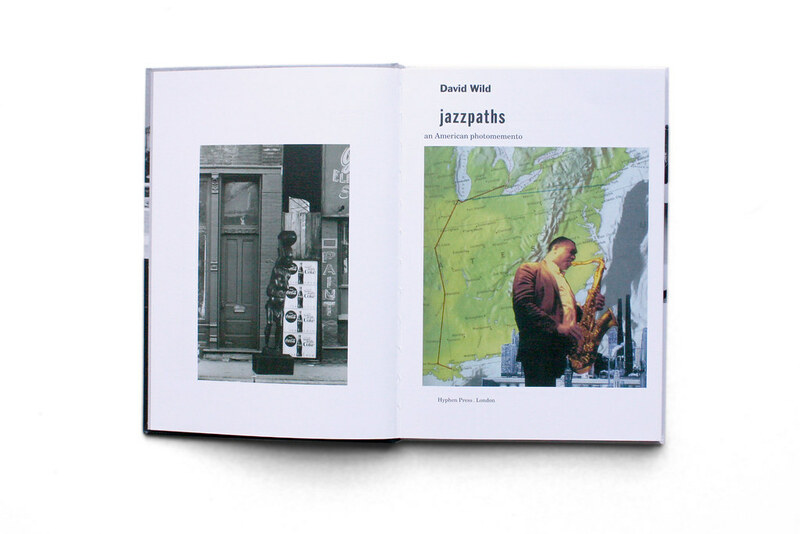 Jazzpaths: an American photomemento by David Wild is published by Hyphen Press, RRP £20 ($35).